There are 8 Memory Care Facilities in the Wilmington area, with 6 in Wilmington and 2 nearby. The average cost of memory care in Wilmington is $5,367 per month. This is higher than the national median of $4,650. Cheaper nearby regions include Newark with an average starting cost of $4,455. To help you with your search, browse the 3 reviews below for memory care facilities in Wilmington. On average, consumers rate memory care in Wilmington 4.7 out of 5 stars. Better rated regions include Philadelphia with an average rating of 5.0 out of 5 stars. The senior community in the city of Wilmington comprises over 13 percent of the 71,000-person population. Wilmington is situated on the eastern shore of the Delaware River in Delaware, a state in which the Alzheimer's Association estimates that 18,000 people are living with Alzheimer's disease. The Wilmington area has a dozen memory care facilities for families to choose from, with five located in the city proper and the other seven in nearby cities. Generally speaking, memory care services are provided in assisted living facilities that specialize in serving residents who have dementia. 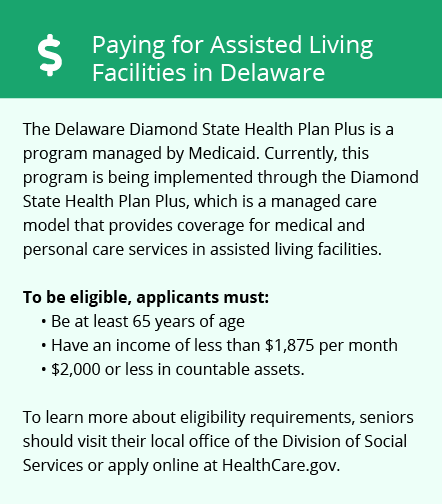 Wilmington seniors are not taxed on their Social Security income, which may leave more money in the budget for memory care. While other types of retirement income are taxable in Delaware, there is a large deduction for taxpayers that are over the age of 60. The combined rate of property and violent crime in Wilmington is among the highest in the country, with residents having a one in 13 chance of being the victim of any type of crime. When compared to other U.S. cities of similar size, Wilmington's crime rate is significantly higher. This may be a consideration for families who are moving their loved ones to memory care in this region. The Wilmington area is home to world-class medical facilities, including those specializing in brain health and dementia care such as Wilmington Hospital, in the event of medical emergencies or illness. Wilmington summers are hot and humid. The hottest month of the year is July, with highs in the 80s and a 60 percent chance of muggy weather. Winters are relatively mild, however, with January temperatures ranging between 26 degrees and 40 degrees. To keep residents from wandering outdoors during very hot or very cold temperatures, memory care facilities employ alarm systems and security cameras. Memory Care costs in Wilmington start around $5,367 per month on average, while the nationwide average cost of memory care is $4,800 per month. To see a list of free memory care resources in Wilmington, please visit our Assisted Living in Delaware page. 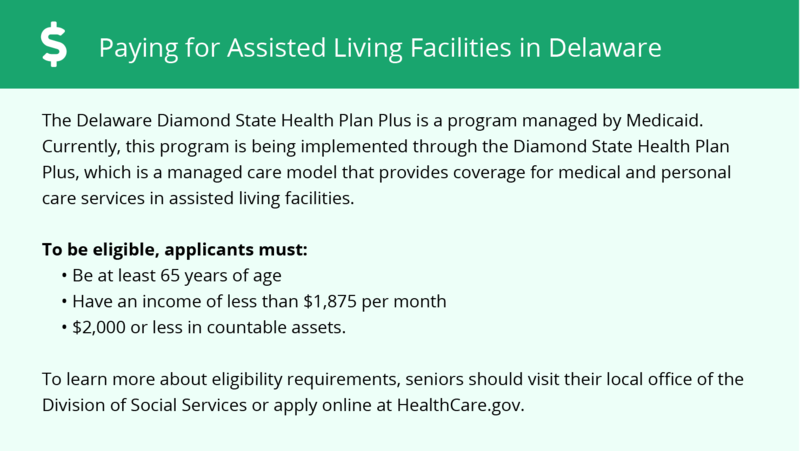 Wilmington-area assisted living communities must adhere to the comprehensive set of state laws and regulations that all assisted living communities in Delaware are required to follow. Visit our Memory Care in Delaware page for more information about these laws.